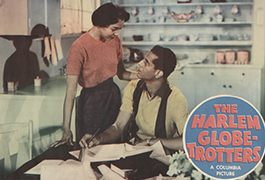 The African American Film Materials digital collection provides a sample of photographs and pressbooks from films featuring African American actors. 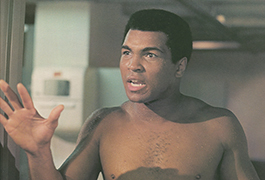 The collection is from SMU's DeGolyer Library, and includes 4,254 film stills, lobby books, pressbooks, posters, and related items from motion pictures spanning nearly 40 years. This digital collection is remarkable for the variety of film genres and the caliber of talent represented. 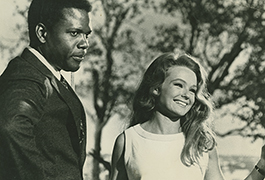 One of the most notable actors of his generation, Sidney Poitier appears in more than half a dozen films in the collection, including works like Guess Who's Coming to Dinner and To Sir, with Love. 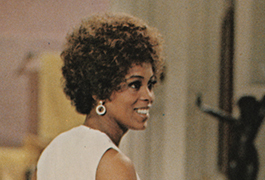 The collection also includes images of other renowned actors like Ben Vereen (All that Jazz), Ruby Dee (A Raisin in the Sun), Billy Dee Williams (Brian's Song), Richard Pryor (Stir Crazy), Harry Belefonte (Buck and the Preacher), Denzel Washington (A Soldier's Story), Ossie Davis (Countdown at Kusini), Muhammed Ali (The Greatest), the Harlem Globetrotters, and many more. 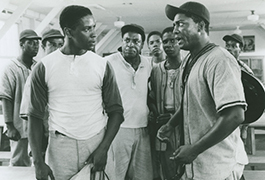 Thanks to the generous permission of Sony Pictures Entertainment, 422 items in the DeGolyer Library’s African American Film Materials accession have been made available to the general public via this digital collection. Images in this collection are protected by copyright law. 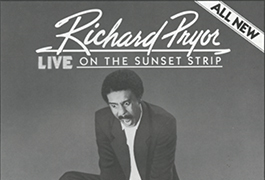 The rights to all 422 items in this digital collection belong to Sony Pictures Entertainment. Each item contains information about usage terms. These files may be freely used for educational purposes, provided they are not altered in any way, and the copyright line is cited. No commercial reproduction or distribution of these images is permitted without the written permission of Sony Pictures Entertainment (SPE). For licensing inquiries, please contact SPE at FilmClips@spe.sony.com, or visit the Sony Pictures film licensing website.